Ahh...The Cosy Club. A firm favourite I've always loved to go for food and/or drinks all year round, especially at Christmas! 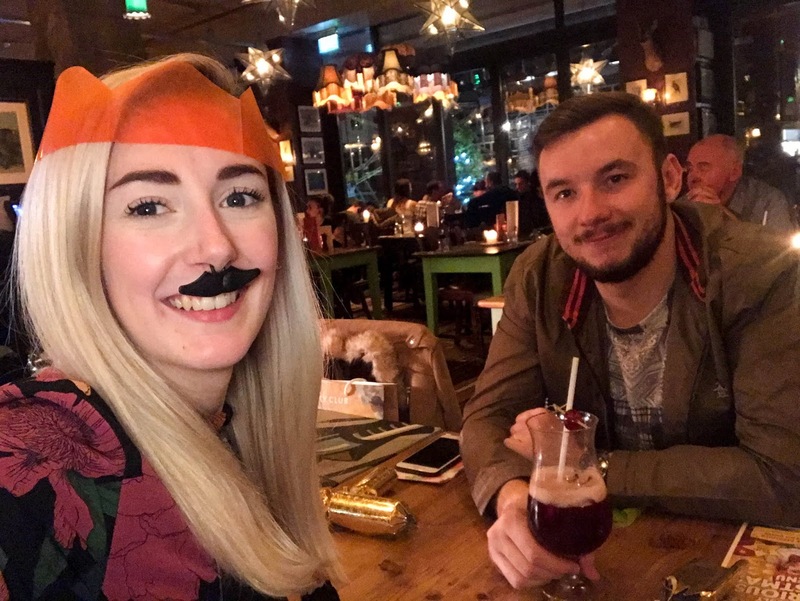 Every year, myself, the girls and our partners used to and still do, have a meal all together where we all have Christmas dinner together in Christmas jumpers and opening Christmas gifts from each other, and The Cosy Club was one of our favourite places to go to! 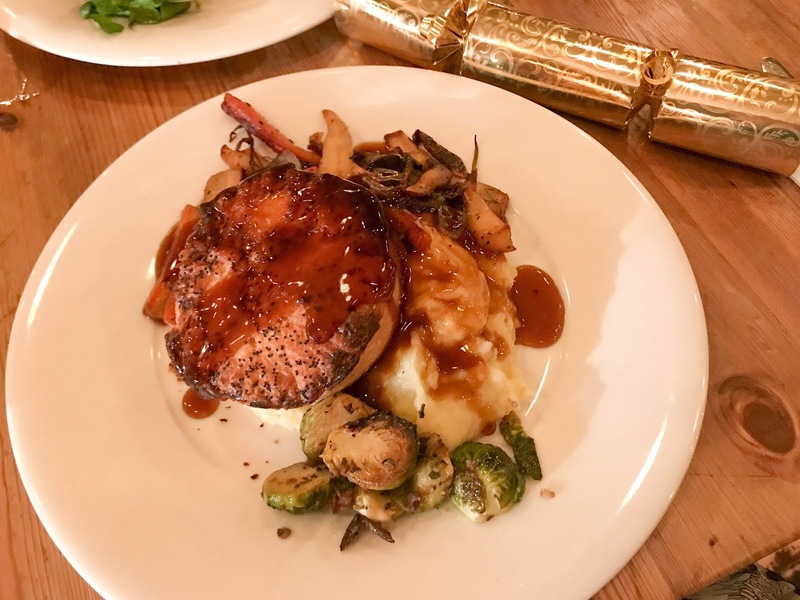 So when myself and Adam had the opportunity to try out their delicious 'Seriously Glorious Christmas Menu' I was more than happy to attend the Christmas evening surrounded by beautiful vintage decor and beautiful divine smells wafting from the kitchen! Lets dig in! For starters we were greeted by a lovely gentleman wearing a waist coat who thoroughly informed us of what different menus, events and parties they hold over the festive period including a 1920's Gatsby Gladrags New Years Eve Shingdig at £54.95, where you'd be welcomed by cocktails and canapes on arrival, alongside a 4 course meal and prosecco toast at midnight, complimented by a lovely live 1920's band and a little or a lot in my case of dancing! I'd love to go to this myself it sounds so fun! 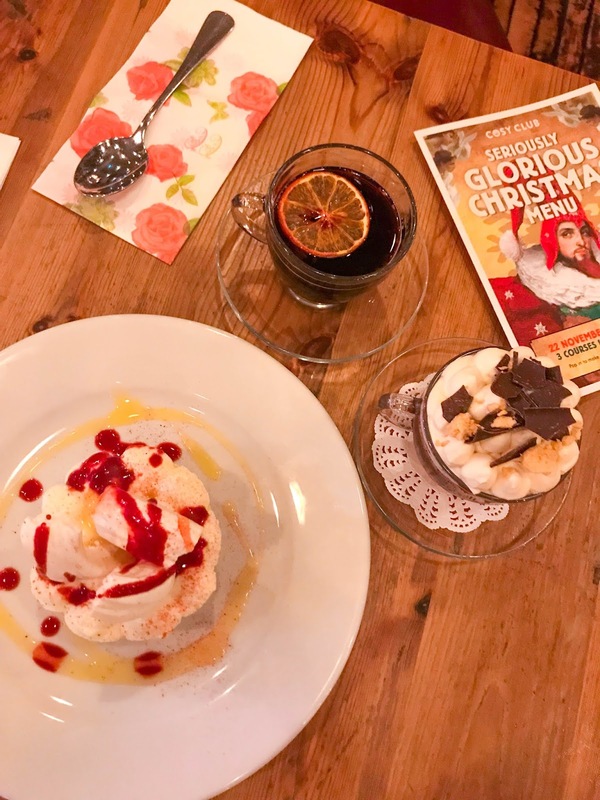 Onto the actual menu itself, the 'Seriously Glorious Christmas Menu' priced at £27.95 for 3 courses that are available between 22nd November - 24th December and there's also 15% off food on selected dates! For the start of our meal (food wise), we were brought a sharer platter built up of heavenly treats! There were Cumberland pigs and blankets (so tasty! ), slow-cooked pork belly bites (amazing! ), baked Camembert with olive oil infused sourdough - this cheese and bread was to die for it was so nice!! 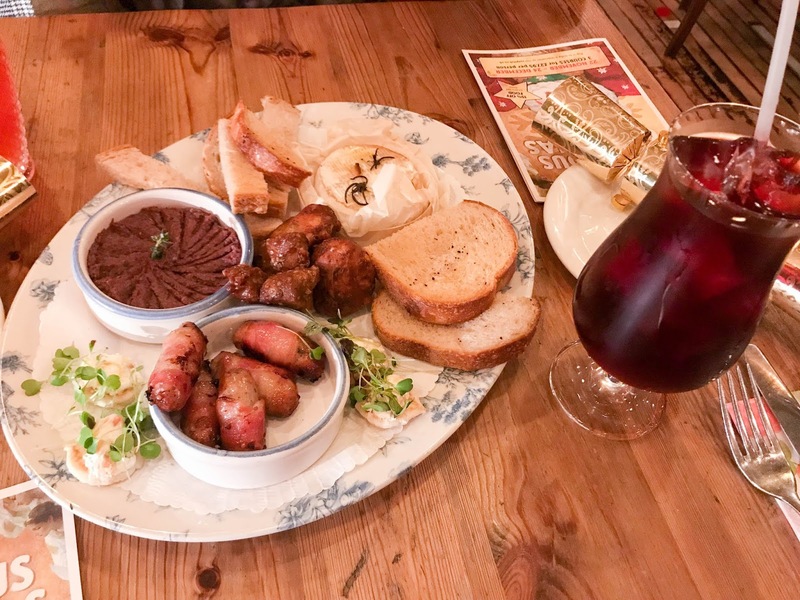 We also dug into the halloumi and sweetcorn bites that were different and complemented the dish very nicely! The two things left me and Adam wasn't a fan of was the Mushroom, Tarragon and Chestnut Pate and Smoked Salmon Blinis, due to us both not liking salmon nor pate - regardless we still tried it - still wasn't a fan. But the platter itself was a lovely mixture and filled half my stomach already! 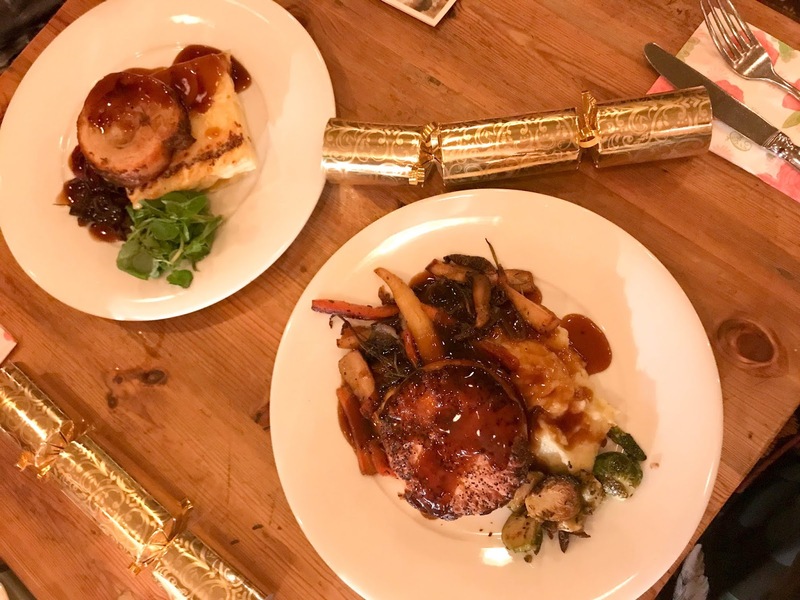 Onto mains, I went for the Norfolk Turkey & Smoked Bacon Pie with mash and vegetables with gravy, meanwhile Adam had the slow Roasted Outdoor Bred Pork Belly with dauphinoise potatoes, red cabbage, watercress and red wine gravy. By this point when I'd tucked in, my stomach was majorly bloated, so as tasty and as beautiful this dish was, I struggled to finish even a quarter of it. It was so lovely and I wish I could of took it home to finish off! Adam certainly enjoyed his pork belly though! Puddings! Everyone has that little bit of space left for puddings. By this point I was so bloated I looked about 4 months pregnant! I just wanted to enjoy the delicious food! 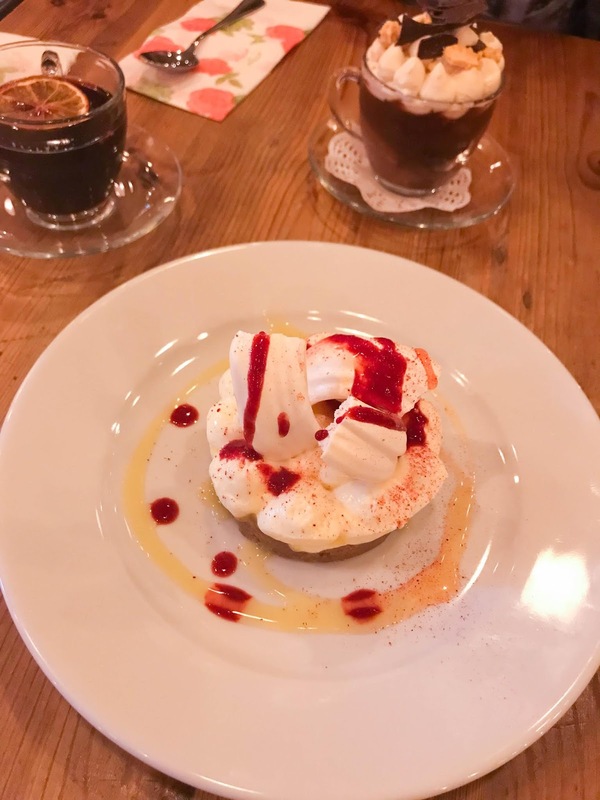 I went for the Limoncello Cheesecake topped with raspberry coulis and beautifully presented crushed meringue. This had to be the best cheesecake I'd ever tasted! Adam went with the Chocolate Brownie & Cinder Toffee Trifle with chocolate fudge sauce and salted caramel cream, which arrived in the cutest cup and saucer with a dainty doily. To say the least, we were as stuffed as Santa's present sack! Adam washed his dinner down with a lovely mulled wine, meanwhile I finished off my Cherry Bakewell mocktail. We ended the night with mince pies and the cutest gift bags with Christmas treats! 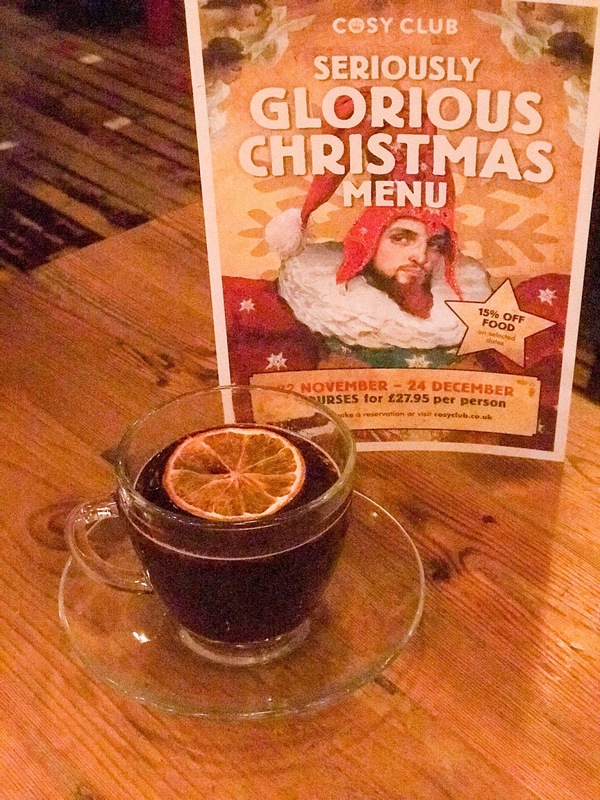 The drinks also available on arrival are Mulled Wine, Mulled Cider of Durello Fizz. Drinks wise during your meal, you can order 6 bottles of wine & get your 7th bottle free - great for large groups, like for a work do! They also do beer, such as an ice bucket of 10 caple road ciders for £36.00. The cocktail pitchers also available are Cherry Bakewell (£22.95) - I had this, but due to me being the designated driver that evening, I had a gorgeous mock-tail version that was SO SO good! Definitely recommend the Cherry Bakewell, with or without alcohol!! 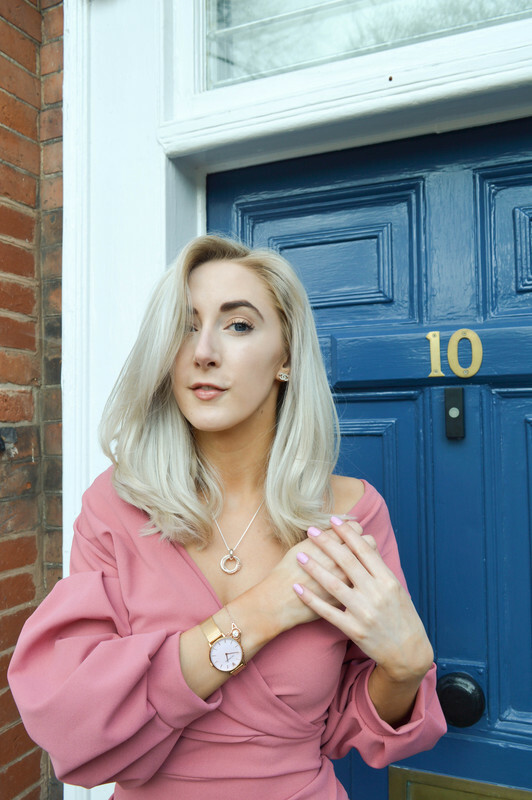 They also have the English Garden Cocktail at £22.25 or Pink Lemonade Mocktail for £9.95, or anything on the drinks menu is also available! Got to have a bit of Christmas cracker fun! 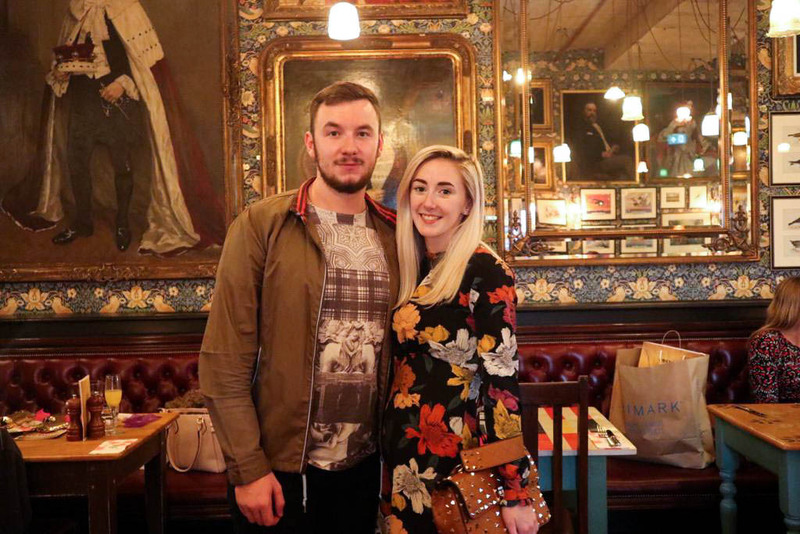 The Cosy Club is a lovely place to go for a meal or an evening drink, so book your table for your Christmas meal here as you won't be disappointed by what they have behind the bar or cooking up in the kitchen for you! The Cost club is one of my favourite venues in Coventry, and the menu for Christmas looks lovely! Thanks for sharing! 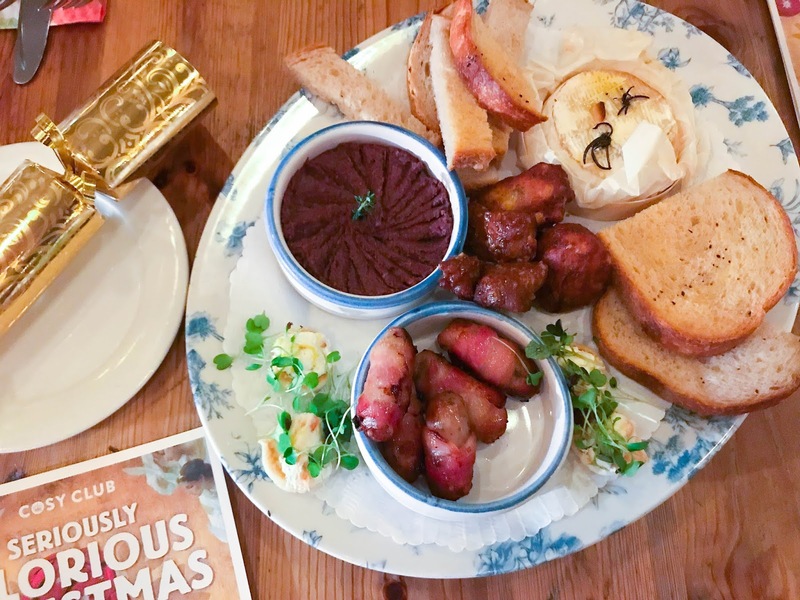 Oh my gosh wasn't the cosy club Christmas menu simply divine? It looks like we have similar tastes in deserts as I went for the limoncella cheesecake, too! Oh my gosh that cheesecake looks amazing! I had the brownie as my dessert. I really want to go back to try the things I didn't get the opportunity to try last time. It was such a great evening, ecerytime I see what everyone had it's making me want to have the meal all over again!